Orthodontic practices and methods from twenty years ago are a far cry from what is available today. Back then, many people had to resort to extractions or wear non-customizable wire brackets for correcting teeth alignment. If you are an orthodontic practitioner, it is not only crucial to adopt the latest techniques to treat patients; it is also equally essential to have steady access to high-quality orthodontic supplies. These factors have a significant impact on how well the practice thrives. Even general dental practitioners know the importance of referring patients who need orthodontic care to a practitioner who has the reputation of using the latest and most advanced orthodontic technology. Cone beam CT scanners are slowly replacing conventional X-ray images. This method allows an orthodontic practitioner to take high-resolution three-dimensional images of a patient’s entire jaw, skull, and pertinent bone structure; thus, revealing a comprehensive insight into the patient’s symptoms. The added capability of manipulating the image view from different angles provides the dentist with the power to extensively evaluate the patient’s condition and plan the appropriate treatment. Temporary anchorage devices have long been a part of dental surgery, but are now an exciting addition to orthodontic treatment. These titanium screws prevent unwanted movement by acting as an anchor for the molar and keeping it secure in place. More importantly, the procedure of adding a TAD only requires a topical anesthetic, thus, making the process painless and quick. Another exciting breakthrough in orthodontics is using custom-designed wires and brackets together with a one-of-a-kind bonding technique to give a patient a perfect smile. This method is also known as Insignia which incorporates 3D imaging technology to assess the patient’s teeth and create a custom model that will help achieve the desired outcome. One of the most significant advancements that have occurred in recent years is the new approach to ligation and friction in correcting teeth alignment. The traditional method of using elastic ligatures and wire brackets typically resulted in more pain and discomfort for the patient. The development of self-ligating brackets addressed some of the challenges with the traditional method. First, passive self-ligating braces have a slide mechanism which allows the dentist to insert a wire into a slot where it freely glides inside. This method reduces the amount of pressure and friction applied which makes the treatment process less painful for the patient. Clear brackets have been around for a while and continue to gain attention from many adult patients looking to get treatment. 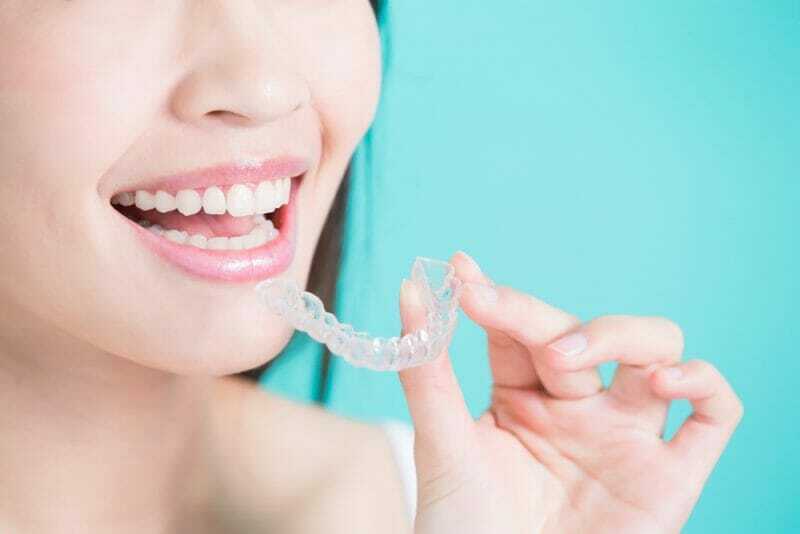 However, unlike traditional wire brackets, clear brackets are not as effective in correcting significant issues, and it will take more time to achieve your desired results. There are new clear bracket systems available today, specifically the Damon clear bracket system which is almost invisible and resists discoloration. It is a type of passive self-ligating brace using clear brackets which provide the patient with greater comfort during treatment, while at the same time achieving precise teeth alignment in a shorter time.